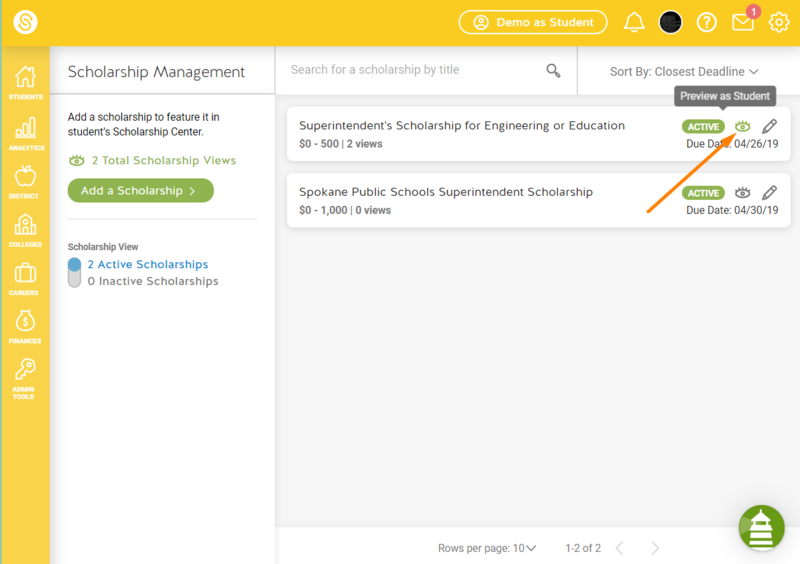 From the dashboard, hover over the money bag icon and click Scholarship Management. 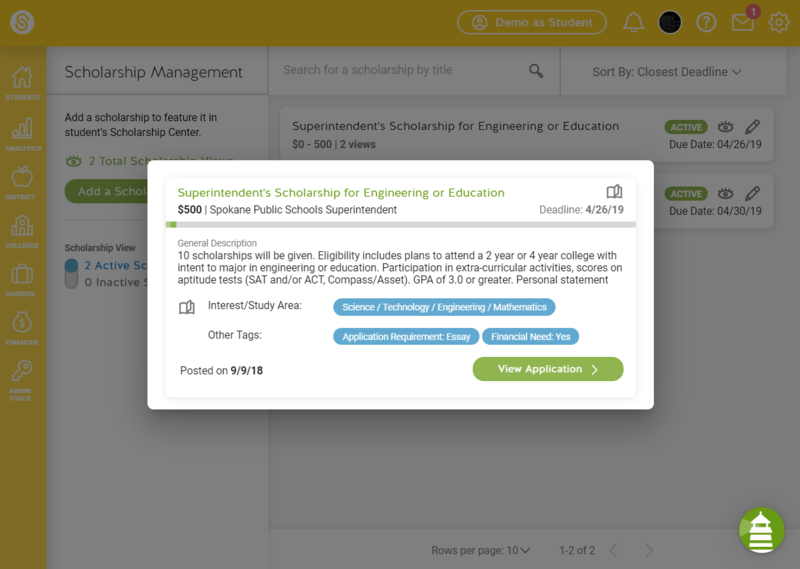 On the scholarship you wish to preview, click the eye icon. Then you will be able to see how scholarships look like for students.